Imagine Douglas Coupland writing a Kurt Vonnegut novel in hypertext. The outcome: Garbage Head, a daring postmodern novel written almost entirely in sentence-length paragraphs which examines the promiscuity of telecommunication devices and the vicarious thrills of celebrity culture. The reader surfs through the text gathering points of view and sound bites from disparate locales in real time and, just as in the today's world of endless stimuli, must construct the story from an array of media messages. As technology erases the lines between reality and virtual reality, a boy nicknamed Garbage Head develops the ability to say what those on TV and radio will say before they say it. An appearance on The Fabulous Gigi Fandone Show rockets him to fame, but his troubles begin when he uses his ability to predict the numbers of a multi-million dollar lotto. The FBI deems him to be a national threat and Garbage Head is arrested and taken to a president more consumed with watching reruns and learning street slang than in leading a nation. Garbage Head is the idiot savant through whose eyes we glimpse a world spinning out of control, where belief is found in media and its ubiquitous stars, where technology provides a human life line, and where everyone is searching for a meaning which can only be found within. 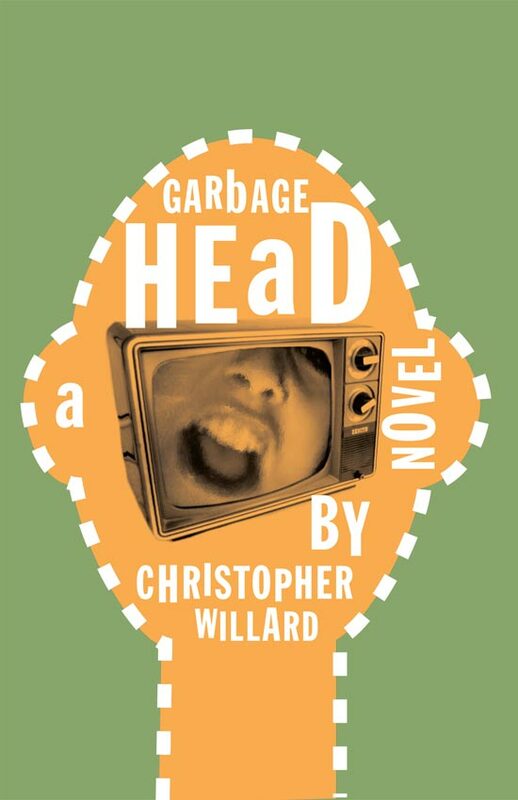 Christopher Willard, author of Garbage Head [Véhicule Press, 2005], is a writer and visual artist. His art appears in collections worldwide including the Metropolitan Museum of Art.